Our 12 day ‘Charming New Zealand’ tour takes you to some of the most scenic regions of the country. Renowned as one of the cleanest and greenest country in the world, New Zealand has an abundance of natural beauty that is defined by its share of mountain ranges, lakes, landscapes and fertile plains. Besides, its cities are so diverse and unique, you will get rich flavors of its culture and heritage, while you are caught up in their urban charm. New Zealand is also a hub of adventure sports. Thus, in our tour we promise to offer you some of the best gut wrenching activities you ever heard of. Your tour of the wonderful New Zealand starts with your arrival at Auckland. Auckland is the largest urban area of New Zealand and is situated at its North Island region. As you will reach, our tour representative would be leading you to the pre-booked accommodation (hotel). Guests who wish to travel on their own can collect their rental cars from the airport and drive to the hotel. Feel free to spend the rest of your day at leisure or move out in the evening for some shopping at this vibrant metro city. Start your day by travelling south to the Waitomo region of New Zealand. You would be passing through the Waikoto region. On arrival at Waitomo, head for a sightseeing tour of the glowworm caves. These caves are located just outside the town of Waitomo and are known for their large population of glowworms that illuminate the insides of them. Guests would be embarking on a boat to explore the illuminating caves. Post that, start your journey to Rotorua. Enroute, make a halt at the Hobbiton movie set. Hobbiton movie set is another major tourist attraction that you would be coming across. This famous movie set is actually a sheep farm, which was used as a village in the 'Lord of the Rings' trilogy. It has numerous hobbit holes and Dragon Inns that were designed for the movies, but now kept preserved as star attractions. Overnight stay at a hotel in Rotorua. Spend this day exploring the whereabouts of Rotorua. The sightseeing tour starts with the visit to Te Puia Thermal Reserve. Only 5 minutes away from the center of Rotorua, Te Puia is home of more than 500 geothermal wonders. Besides, it also has the renowned Maori arts and crafts institute and Maori cultural center, which give a deep insight into the history of the region's civilization. After that, guests would be heading for an entertaining trip to Agrodome farm house. The farm is known for its farm show, which showcases a string of talented animals. Since 40 years, Agrodome farm show has been a major tourist attraction in this part of New Zealand. Besides the show, you can explore the lush farmland and enjoy samples of kiwifruit juice. The last attraction in Rotorua tour would be Rainbow Springs. It is set amidst a beautiful natural region and is home to a variety of species of animals that include the endangered Kiwi and Tuatara. Afternoon would be spent at leisure. Today you would be heading to Wellington. But before that, a trip to Lake Taupo would be first in the schedule. The largest lake in New Zealand, Lake Taupo is a picturesque spot, dotted with forests, volcanic mountains and snow covered peaks. Besides natural beauty, the lake is perfect for adventure sports like jet boating, white water rafting and bungy jumping. After visiting the lake, start your journey to the capital city of New Zealand, Wellington. You would be heading south, right pass the Central Plateau for the same. Get ready for the morning sightseeing tour of Wellington. 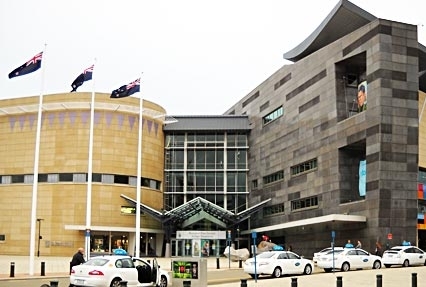 Under this, you would be visiting the museum of New Zealand, Te Papa. Located at a waterfront location, Te Papa is the best place to be well versed with New Zealand's culture, art and science. The Museum has permanent exhibitions which display artifacts about natural environment, Maori culture, heritage and history. Post that, feel free to explore the other sides of Wellington on your own. You can go out shopping for souvenirs, handicrafts or simply enjoy mouthwatering cuisines at some of the fancy restaurants in Wellington. Morning brings the start of your journey to Christ Church. 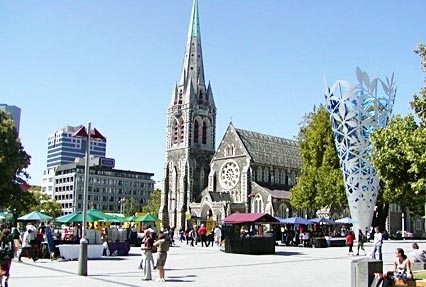 Second largest city in New Zealand, Christ Church is settled on the South Island region of the nation. Journey to Christ Church would be leading you across the Cook Strait. Cook Strait is stretch, which divides the North and South islands of New Zealand. As you will cross the stretch, you would be welcomed by the towns of Picton, Blenheim and Kaikoura. On your arrival at Christ Church, spend your day at leisure. In the evening, explore the local attractions of this Garden city. Your next destination in our wonderful New Zealand tour would be Dunedin. Dunedin lies to the south of Christ Church. Also amongst the major cities in New Zealand, it is known for its unique landscapes, heritage and cultural history. Dunedin is also popular for its rare species of wildlife that include the little blue penguin and the yellow-eyed Penguin in the Otago Peninsula region. You would be crossing the Canterbury plains while heading towards Dunedin. Guests would be heading to Queenstown today. Enroute, you would be coming across the Southern region of Otago. Other than this, the drive to Queenstown would be surpassing through the towns of Balclutha and Gore. Then comes the fertile southland plains, which stretch to Lake Te Anau. Post this, you would be traveling alongside Lake Wakatipu, one of the longest lakes in New Zealand. Guests would be free to halt at anyone of these sites and indulge in optional activities of your choice. As you arrive in Queenstown, spend the rest of your day at leisure. Reputed for its huge scope of adventure sport activities, we dedicate this day to the attractions of Queenstown. The town has a variety of options available for adventure enthusiasts. Guests can choose to indulge in white water rafting, gondola rides, jet boating skiing and bungee jumping. 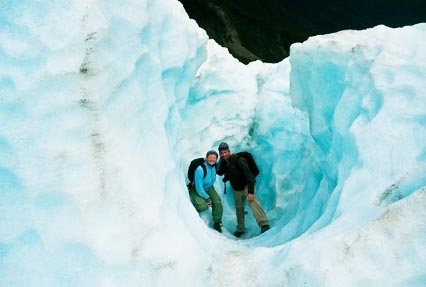 Day 10 of our charming tour gives you a chance to explore the glacial regions of New Zealand. 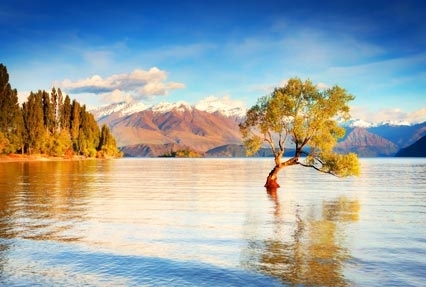 From the town of Queenstown, you would be traveling via the scenic Lake Wanaka. It is one of the largest lakes of the country and has snow covered mountain peaks in its backdrop. Drive to the glaciers will lead you to Haast Pass. Located in the Southern Alps of the South Island of New Zealand is Haast Pass, which is a high altitude mountain pass. As you cross the mountain pass, native forests, lakes and mountain ranges would be coming your way. Finally you will reach the glacial regions of Franz Josef and Fox. Located in Westland Tai Poutini National Park (world heritage site) both of these glaciers are major tourist attractions in the country. Today you would be enjoying a scenic train ride. First travel north to the town of Greymouth and from there, you would be boarding the world renowned Tranz Alpine train. Train ride in the Tranz Alpine features travelling through the lush beach forests and alpine villages of the Athur's Pass in the Southern Alps of New Zealand. Before finishing the journey at Christ Church, it also passes through the fertile Canterbury plains. On this day bid goodbye to this clean and green country, which implies the end of the wonderful tour of New Zealand.